It’s no secret that online advertising is experiencing a major upheaval, constantly adapting to consumers shifting behaviors as technology evolves. Though it’s a relatively new form of advertising, more and more publishers are depending on branded content to supplement large portions of revenue. A few are even relying on it to completely fund their businesses. The lines between advertising and journalism are becoming increasingly blurred, and both brands and publishers need to embrace branded content to maintain the limelight and stay relevant. If you’re considering investing in content marketing, knowing publishers’ expectations, concerns and how much they have at stake can help you know what to expect when striking a deal. BuzzFeed’s revenue model relies entirely on branded content, and BuzzFeed President, Jon Steinberg, recently told Business Week that its branded content revenue tripled in 2011. Though it saw profit for few months in 2011, BuzzFeed is currently spending more than it is taking in, and Steinberg said he didn’t expect to turn a profit in 2012 (no word on this yet). Despite its lack of profit thus far, BuzzFeed’s branded content has helped corporations like General Electric substantially increase brand sentiment as well as “social lift,” a concept coined by Buzzfeed to sell brands on its content marketing initiative. BuzzFeed’s GE content has gained attention for being high quality and interesting, and as a result, extremely sharable. BuzzFeed offers a wide array of offerings that can range from subtle to extensive, providing an option for every price range. Campbell Soup Company recently took charge of its entire site to promote its new bold and convenient soup line called “Campbell’s Go.” Campbell’s renamed BuzzFeed “Buzz Faux” and sponsored content about making time-consuming things easier. 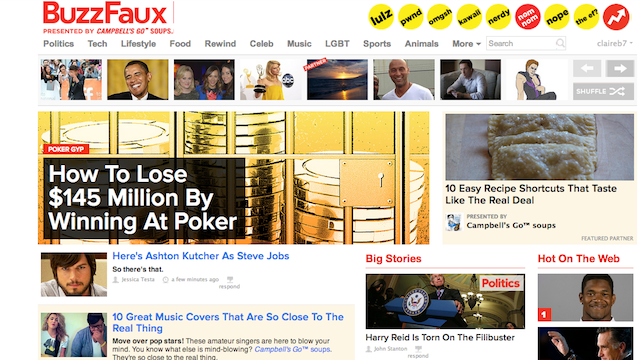 This ad unit is called a “BuzzFeed Takeover,” and is probably the most costly option. At the other end of the spectrum, small ad units called “Viral Thumbnails” are probably the least expensive, averaging a .5 percent click-through rate. Fashion blog, Refinery 29, started out with a small, four-person editorial team, but in the past three years it has grown to 65 employees, covering every coast. In that time, it’s created a precedent-setting content marketing program. 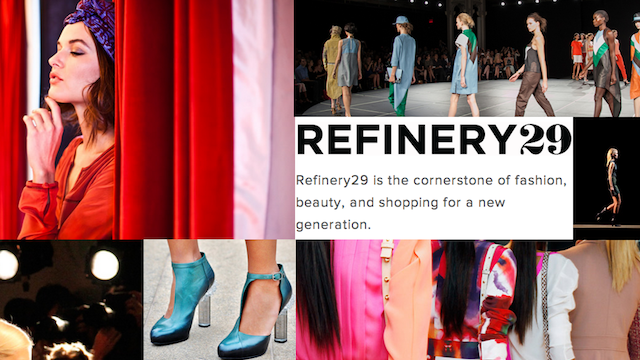 Anna Plakes, Director of Brand Integration, recently referred to Refinery 29 as a “mini-ad agency” in Mashable. It has executed successful branded content campaigns for brands such as Guess, Macy’s, Maybelline, Coach, Stoli and many more. R29 boasts a dedicated and privileged following — 50 percent of users come back at least six times a month, and their average household income is $83,000 a year (34 percent earn over $100,000 a year) according to the media kit. With a successful, plugged-in community at its fingertips, it’s safe to say that most big brands would be willing to foot a big bill if they can reach this audience. Looking at a publisher’s target audience and its past clients is a simple way to predict a cost associated with branded content, as well as the depth and extent the publisher will go to ensure client satisfaction. AOL’s The Huffington Post only began offering branded content late last summer, but hit the ground running by partnering with the online health information provider, Everyday Health. 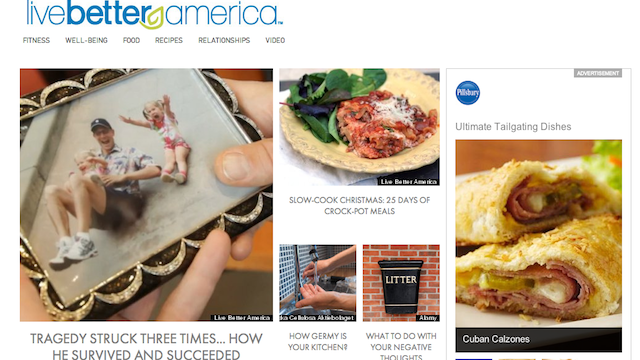 The publishers worked together to create General Mills’ successful site Live Better America. The partnership was beneficial for all parties. The Huffington Post recovered lost ad revenue from the declining display ad market, Everyday Health cashed out by partnering with two huge brands, and General Mills became a thought leader in the health and lifestyle sphere. 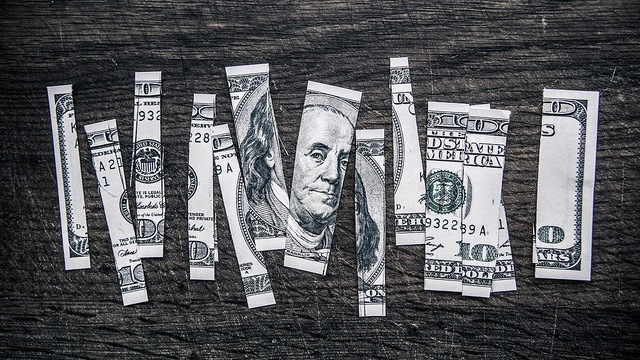 In an article with The Wall Street Journal, Ben Wolin, CEO of Everyday Health, said that 50 percent of its business now comes from sponsorship and custom integration, while five years ago it didn’t even exist. It would be nonsensical for established publishers to ignore content marketing simply because they already have a stable revenue stream. The Huffington Post has a young content marketing program, and subsequently it’s probably more flexible when creating customized content that fits with brand initiatives. However, when working with such a large corporate entity, you can probably expect a lofty price when you’re guaranteed to reach millions of eyeballs. Gawker Media was first on the content marketing scene in 2009 when the media company partnered with the HBO series, True Blood, to create a blog called Bloodcopy. Unfortunately, Gawker fell under some criticism when it mislead various sources to believe that Bloodcopy was a blog it had acquired — not an advertising campaign for True Blood. 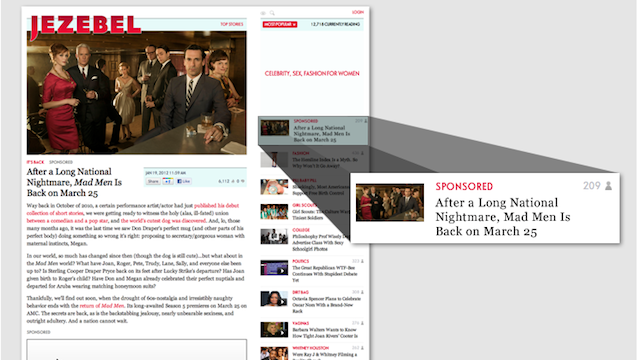 The sponsored content was also criticized for being too editorial for an advertising campaign. Gawker has since gotten past its initial blunder and created a successful and effective content marketing program. In the second quarter of 2012 alone, Gawker Media ran 67 individual campaigns across its eight sites, according to Digiday. Its thirteen person content marketing department, Studio@Gawker, exists separately from Gawker’s editorial department, even residing on a different floor. It seems as if this is a safety measure to keep the two worlds separate — and for good reason, apparently! Do you know of any other publishers deriving revenue from content marketing partnerships with big-name brands? Let us know in the comments.